There's something especially magical about "Besakih's Dragon's Clouds", the gentle, melodious and chiming lead cut from Giorgio Bacchin's latest outing under the Raw M.T alias. More akin to Steve Reich's "Music For 18 Musicians" after a night mainlining loved-up narcotics than a throbbing dancefloor banger, it brilliantly sets the tone for what follows. 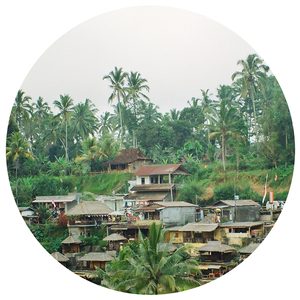 "Banjar Hot Springs" is a breezy, melodious and tactile chunk of dreamy deep house cheeriness, "Ulluwatu's God" a melodically intricate but rhythmically hypnotic chugger, and "Broken Sea" a stylistically accurate tribute to the wavy days of Italian ambient house (albeit with a few nods towards likeminded Japanese producers from the same period).